How can you transform a disused industrial area into a lively residential and commercial district without using a top-down master plan? And how can you also boost social and technological innovation to realise the circular ambitions of the area? These are pivotal questions for Cityplot Buiksloterham, which started as an experimental site and is now taking shape. 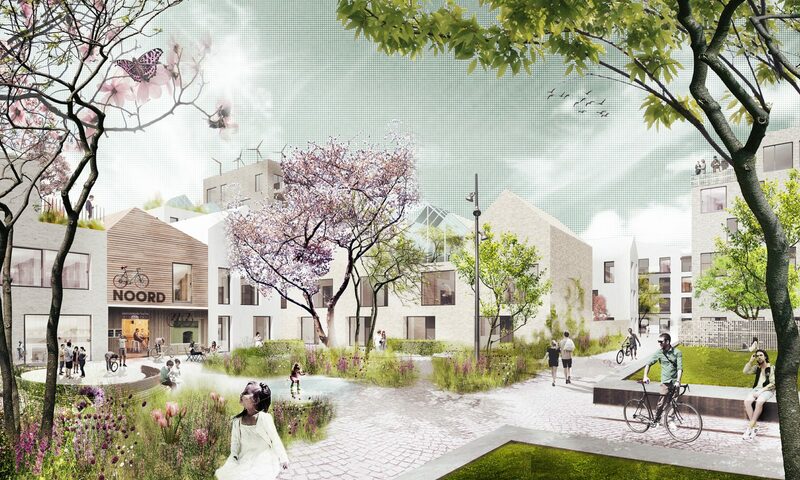 The dynamic masterplan for Buiksloterham is commissioned by housing corporation de Alliantie. 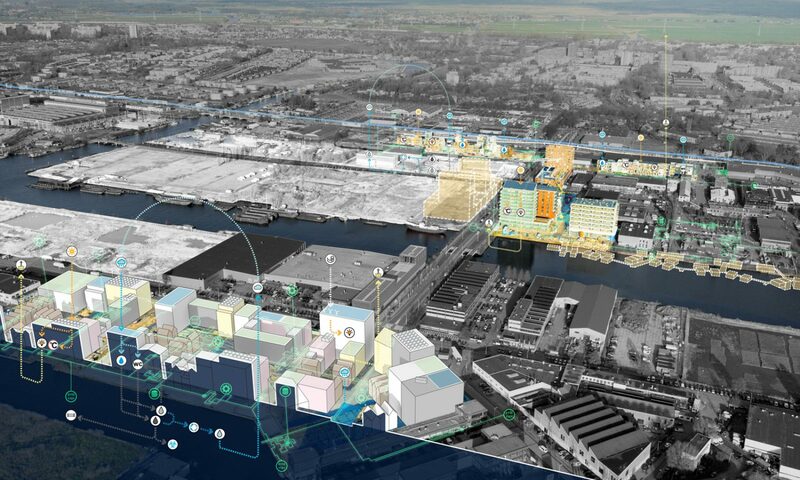 Building activities have started to transform the monofunctional industrial district into a vibrant new part of Amsterdam that will function as a living urban lab. Developments include 550 residences and at least 4,000 m2 of work units and hospitality locations. 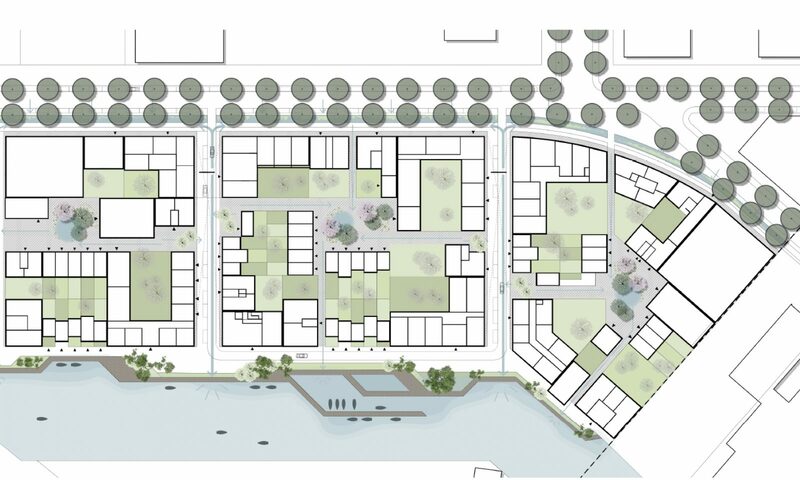 Through the innovative urban, landscape and social development plan, the former Nedcoat and Air Products sites in the harbour area of Buiksloterham will be regenerated in a sustainable way. 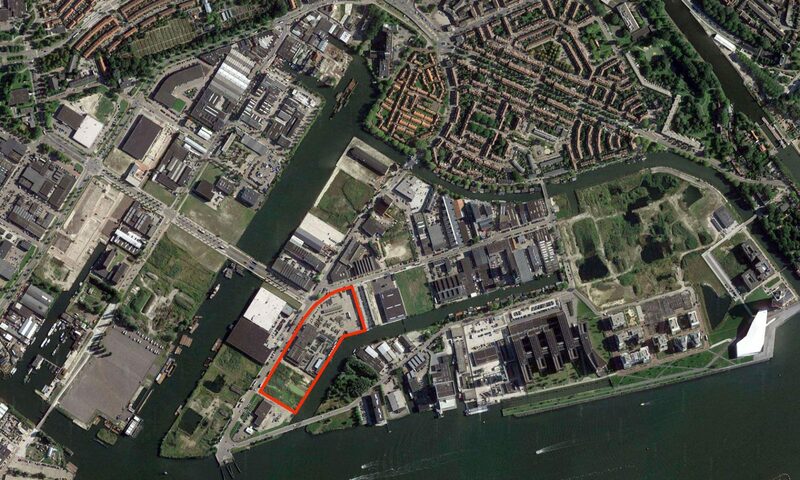 Dense, mixed-use and small-scale Cityplot-blocks on the sunny side of the IJ harbour. Cityplot arose from the need to reconsider how conventional urban planning strategies could open up to more flexible models of development. 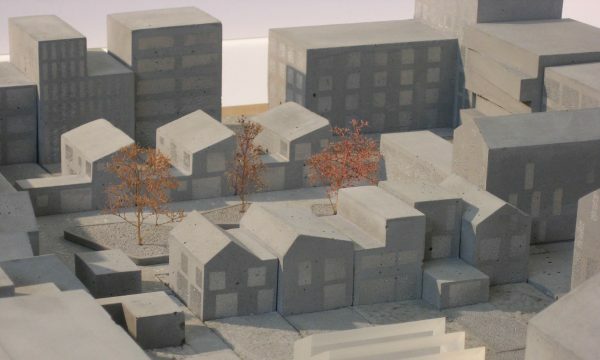 Our client, De Alliantie, was keen to develop the site not in a conventional way in large, fixed blocks but as part of a flexible urban planning concept called Cityplot. 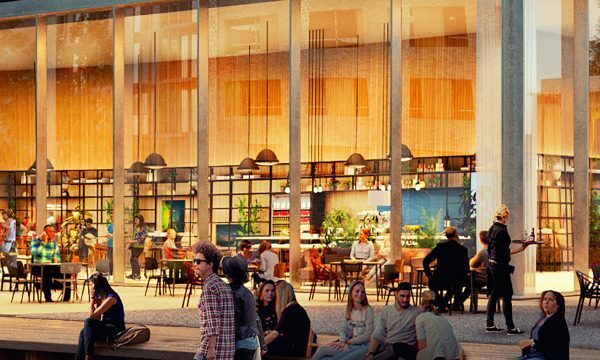 This concept is a dynamic process that combines self-build projects with social housing, work/home units and social hubs, bringing together individuals, collectives, investors and small-scale developers. The dynamic masterplan retains individuality while engaging residents to shape their own city. As opposed to a traditional urban plan with a fixed end result, Cityplot Buiksloterham will keep evolving. 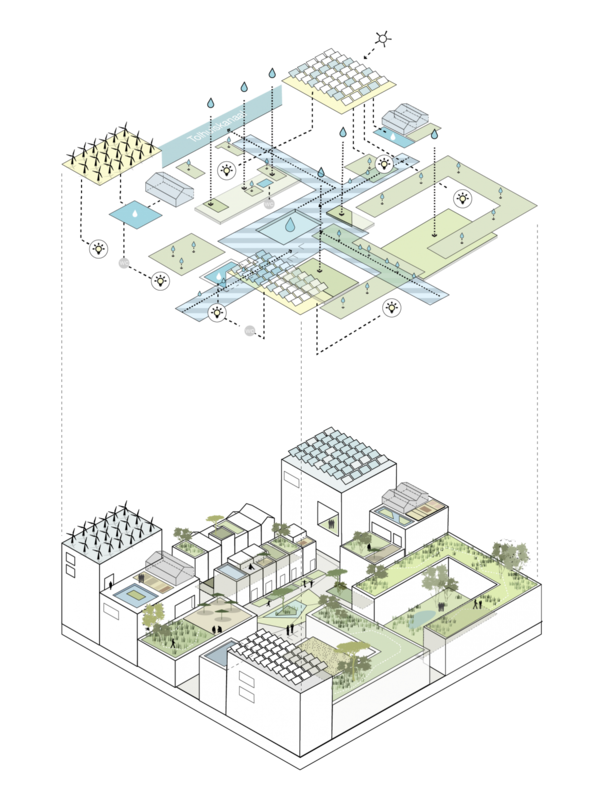 The small scale and mixed-use nature of Cityplots supports ongoing dialogue that is essential for community engagement; dialogue between architecture, functions and participants, and between the city and the economy. A city-wide variety of functions and experiences are compressed into an intensive Cityplot. Architecturally, the concept here translates into three compact plots north of Tolhuiskanaal. 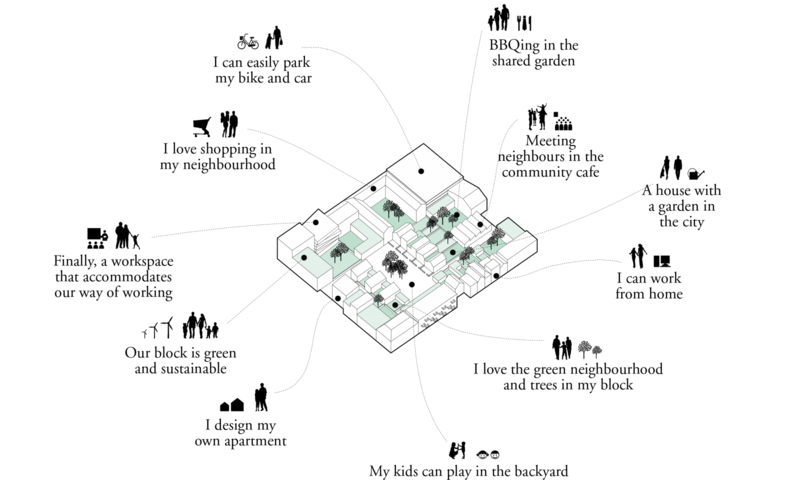 They are each based on an ideal plot size of 100×100 metres; this generous size not only provides scope to accommodate diverse building typologies but also allows the format of the block to be opened up from the street as well as internally. Public, semi-public, collective, and private spaces alternate on different levels and contribute to the creation of the circular city. A collective, energetic process whereby sustainable systems are coupled with and converge in the public space. a stage for sharing expertise and knowledge as part of the ongoing learning process at Cityplot Buiksloterham. The interrelationship between residents and the sustainable systems will contribute to a sustainable and future-proof area. Take, for example, the water system. 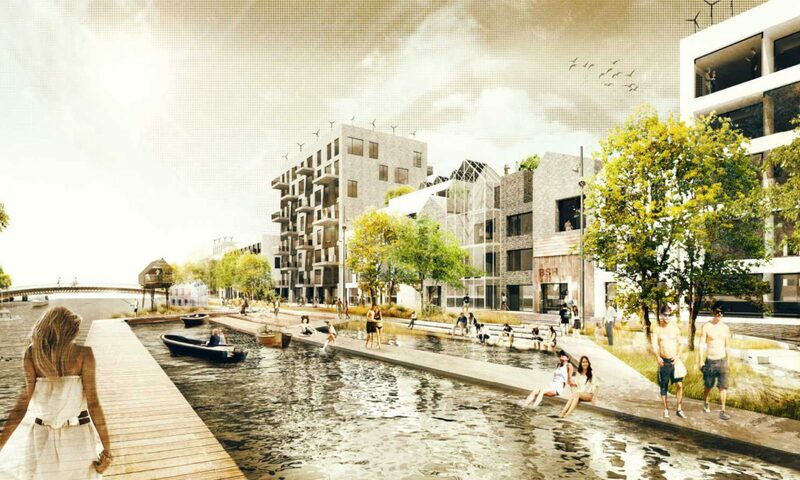 Water plays a key role in Cityplot Buiksloterham. Tolhuiskanaal runs prominently through the area and its quay will be no longer a strict boundary between water and city, but is instead integrated into the public space. 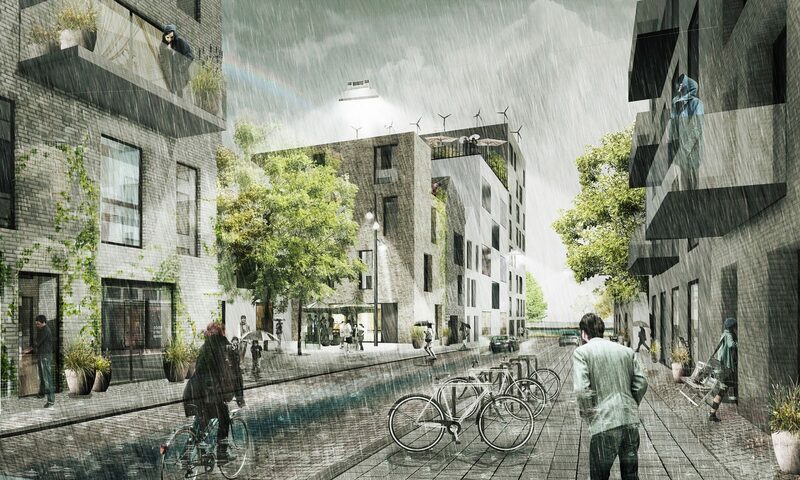 Then, instead of being drained underground, rainwater forms a visible and tangible element to enrich the urban plan – a first in the Netherlands on a large scale. The green courtyards in communal gardens, on ground level and on roofs retain and dispose of rainwater –this helps to avoid overflooding and promote stable climatic conditions. The streetscape accentuates the experience of (rain)water, for instance as it’s seen flowing along roads that slope gradually towards the waterfront or integrated into the sidewalks as landscaping features. Based on new sanitation housing in Cityplot Buiksloterham are being provided with a double sewage system. Separate drainage for black and grey water facilitates re-use of water and resources can be recovered by a brand-new floating installation. 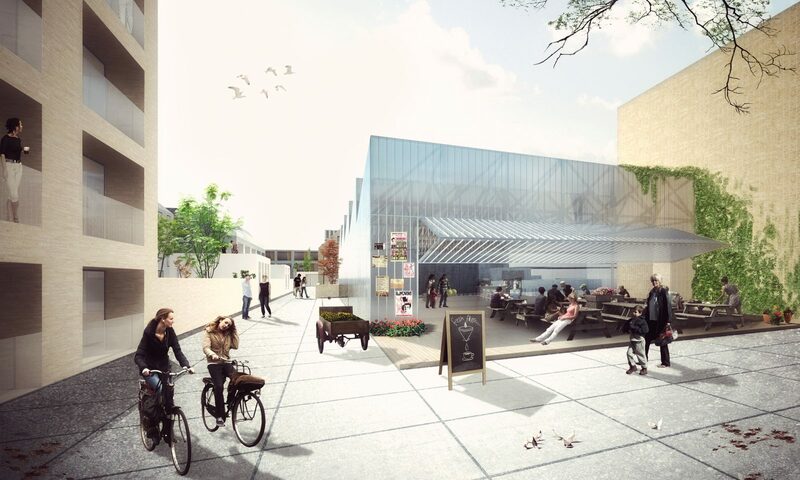 Started off as a testing ground for innovative urban development, Cityplot Buiksloterham will soon present architecture, public space and landscape as one complete integrated system. 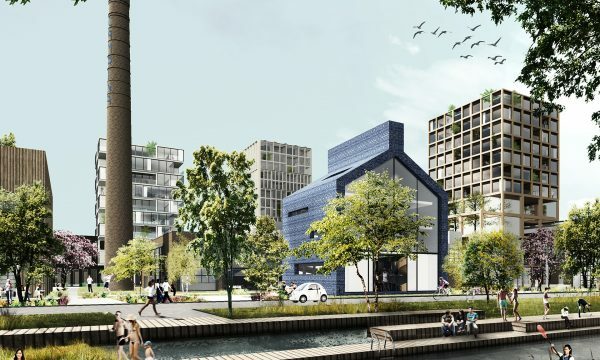 See the manifesto (in Dutch) signed by the major stakeholders, which declares this area a ‘living lab’ and supports the ambition for Cityplot Buiksloterham to be a testing ground for innovative urban development. Explore the publication (in English or Dutch) ‘Circular Cities – designing post-industrial Amsterdam, case Buiksloterham’, by DELVA, Studioninedots and Metabolic.